De Waal’s work has been exhibited throughout the UK and internationally with exhibitions at Frieze Art Fair, London (2016), Kunsthistorisches Museum, Vienna (2016), Kunsthaus, Graz (2016), Galerie Max Hetzler (2016) Gagosian Gallery, Beverley Hills (2016); Royal Academy, London (2015); Ingleby Gallery, Edinburgh (2015); Pier Arts Centre, Orkney (2015); Turner Contemporary, Margate (2014); Fitzwilliam Museum, Cambridge (2013); Gagosian Gallery, New York (2013); Waddesdon Manor (2012); Kettle’s Yard, Cambridge (2007); Middlesbrough Museum of Modern Art (2007); National Museums and Galleries of Wales, Cardiff (2005) and the Geffrye Museum (2002). Recent public installations have included Lichtzwang in the Theseus Temple, Vienna (2014), and another hour at Southwark Cathedral, London (2014). Permanent public works are the collector (for Paul) at the Victoria and Albert Museum, London, (2015), An idea (for the journey), Rijksmuseum (2013), a local history, University of Cambridge (2012), Signs & Wonders (2009), also at the V&A, and a sounding line at Chatsworth House, Derbyshire (2007). 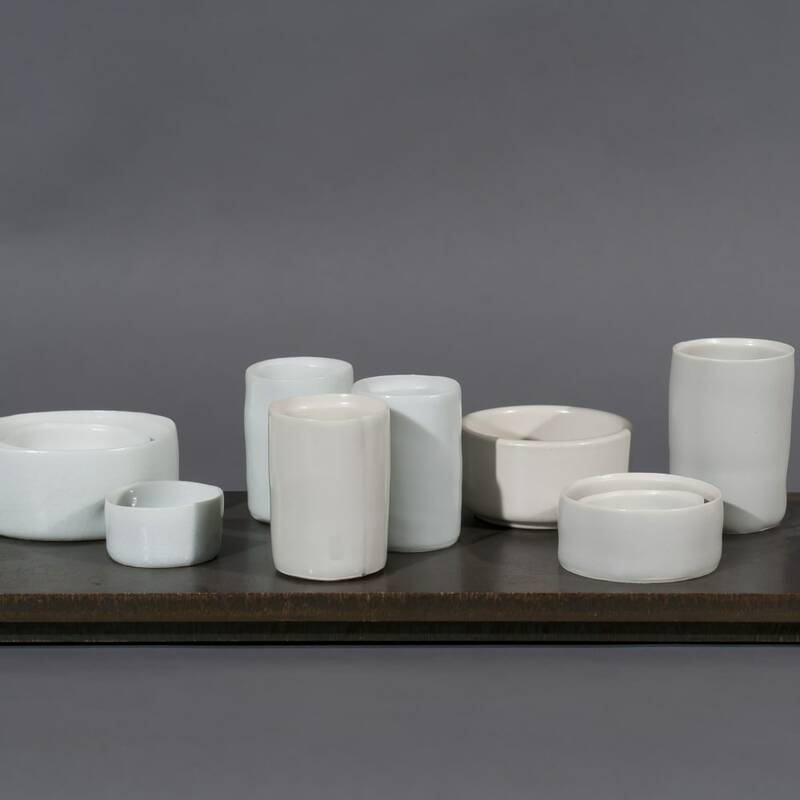 Edmund de Waal has also been widely published. His family memoir, The Hare with Amber Eyes (2010), has won many literary prizes including the RSL Ondaatje Prize and the Costa Biography Award and has been translated into 29 languages. His second book, The White Road was published in 2015. Other books include The Pot Book (2011), 20th century ceramics (2003) and de Waal’s critical study on Bernard Leach (1997). De Waal was made an OBE for his services to art in 2011. In 2015 he was awarded the Windham-Campbell Prize for non-fiction by Yale University. He is a Senior Fellow of the Royal College Art and Honorary Fellow of Trinity Hall, Cambridge. He has also received Honorary Doctorates from University of the Arts London, University of York, University of Nottingham, Canterbury Christ Church University and the University of Sheffield. De Waal has been on the Advisory Committee for The Royal Mint since 2012 and is currently a Trustee for The Saturday Club Trust and the Victoria and Albert Museum.